In the world of health care scams, durable medical equipment or DME has long been considered a treasure for fraud. Now scammers are cashing in on DME using the growing trend of telemedicine, a legal and increasingly popular way doctors are treating patients. Telemedicine lets doctors diagnose and prescribe medicine to patients using phones and video instead of traditional in-office visits. And once again, Florida is ground zero for the growing fraud behind it. Special Agent Ryan Lynch heads up Tampa's Medicare Strike Force team. “I’ve never been able to figure that out,” said Special Agent Ryan Lynch with the U.S. Department of Health and Human Services Inspector General’s office when asked why Florida seems to be fertile ground for healthcare fraud. Agent Lynch is in charge of Tampa’s Medicare Fraud Strike Force team , one of three in Florida and 10 across the country set up to combat government healthcare fraud. “There seems to be an environment in which somehow fraud thrives here,” he said when asked why Florida remains the epicenter for medical equipment fraud. Equipment which can withstand repeated use and is primarily and customarily used to serve a medical purpose, according to the federal government. In the early 2000’s, Florida made national headlines over “scooter stores” which were as common as convenience stores in some parts of South Florida. The problem, these stores were often just fronts for Medicare scammers using them as backdrops for lucrative schemes that exploited taxpayers. Criminals disguising themselves as legitimate medical supply companies would provide Medicare patients pricey scooters or wheelchairs they didn’t need or want. Then the scammers asked Medicare to pay them back often with huge markups the government paid with few questions asked. But medical equipment fraud has continued to evolve. From scooter stores to aggressive telemarketers who still call Medicare beneficiaries, sometimes up to 10 times a day pitching them medical equipment they don’t need or want. 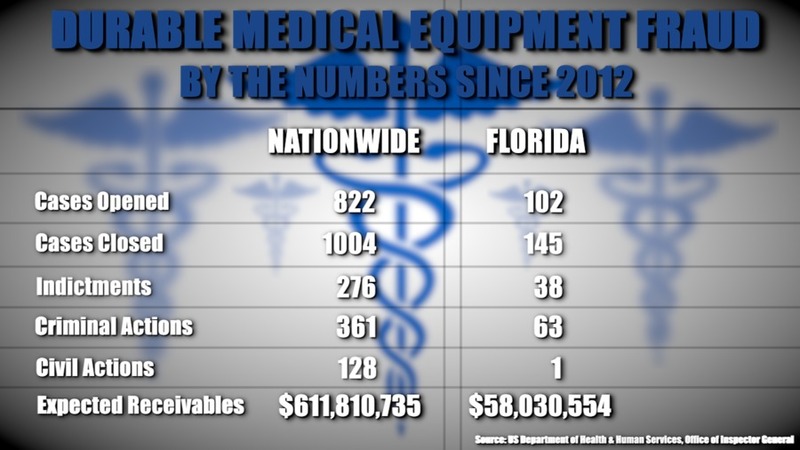 Since 2012, the feds have cracked down on more than $600 million in durable medical equipment fraud nationwide, $58 million in Florida alone. 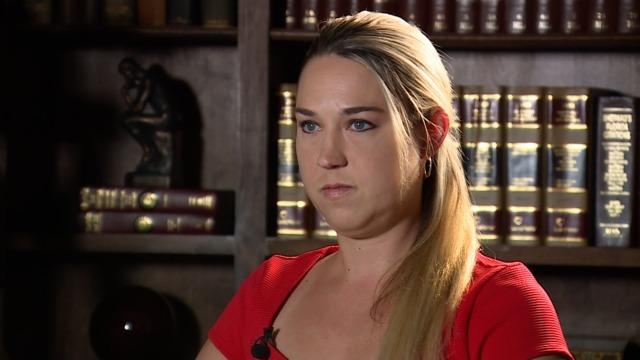 “When you say Florida is ground zero for this kind of [telemedicine] fraud, does that mean the patients are here, the providers are here the doctors are here?” asked Investigative Reporter Katie LaGrone. “Yes, yes and yes,” said Special Agent Lynch. “You have a whole group of doctors who are willing to write prescriptions for patients they don’t have a relationship with, who they’ve never seen and then you’re cutting out the patient’s real provider who knows better,” he said when describing telemedicine fraud. A medical supply company pitches Medicare beneficiaries medical equipment the patient doesn't need or want. The same company also hires doctors who have no relationship with the patient but are willing to rubber-stamp prescriptions for the right price, up to $150 per signature. Patients get the goods...taxpayers [Medicare] foot the bill. 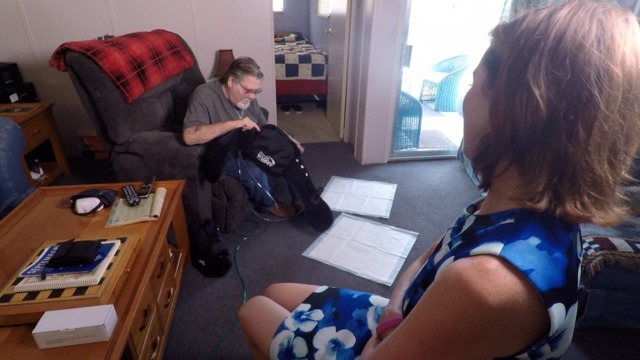 “I told them I didn't want it,” Terry Combs told us last month as he showed us a back brace he was sent by a medical supply company who harassed him over the phone for a year. Terry Combs shows us the back brace he was sent after a company harassed him for over a year by phone. 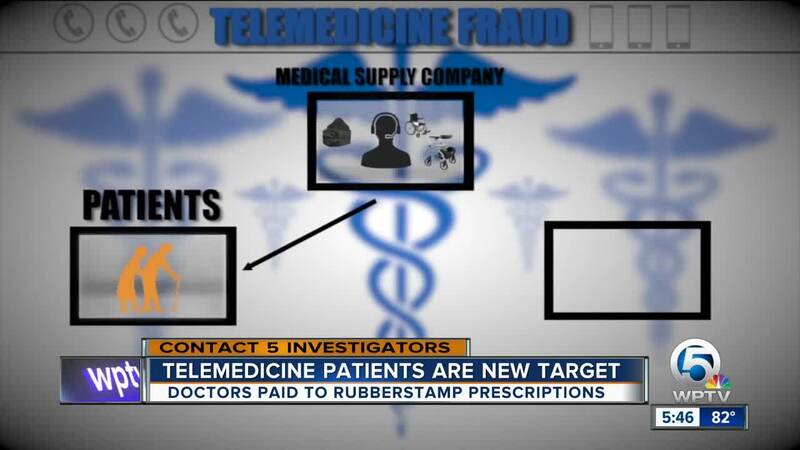 Fraud investigators say anyone can wind up a victim of medical equipment fraud and telemedicine, which was created for patient convenience, can make them more of a target since doctors can be out of state. “It was used as a mechanism for ease of relationship with a patient and a legitimate doctor. It was meant for the good of patients,” said Lynch. "But like many times, it's being abused. It is now a mechanism for fraud,” he said. And patient names are easy to come by, often bought and sold on the black market. “It was easy,” said Daniel Yarbrough, a former medical supply manager in Delray Beach who is now suing his former company for committing fraud. Yarbrough says they would pay up to $20,000/week for lists containing tens of thousands of Medicare beneficiary names. Cody Fletcher, who also worked for the company, said the names would be put into what’s called a dialer and they would call continuously. Daniel Yarbrough (right) and Cody Fletcher (left) are now suing their former employer for committing fraud. “The common practice was to send products and not even speak to these people,” he said. Some patients who were sent products weren't even alive they explained. “The attitude was you pay 50 bucks for a back brace the reimbursement is a grand,” explained Yarbrough. “Medical device fraud is rampant, it’s easy and largely it goes unchecked,” said Jesse Hoyer of the Hoyer Law Firm in Tampa. Hoyer is representing the whistleblowers in their federal lawsuit. Dr. Jay Wolfson, a health policy professor at the University of South Florida, spent decades studying the impacts of Medicare fraud and abuse, now estimated to be a billion-dollar problem in the U.S. “That’s money that you and I as taxpayers have to pay for,” he explained. Health policy professor, Dr. Jay Wolfson at the University of South Florida. “Most of it goes unnoticed, most of it goes unreported. All we’re seeing is the tip of the iceberg,” explained Dr. Wolfson. One more reason to care about medical equipment fraud, if a patient receives an unneeded piece of equipment but does not report it, when the time comes and that patient needs the device, Medicare may not pay the bill for it saying they already covered it years earlier. Medicare Fraud Strike Force Teams: Where do they operate? Contact your local Senior Connection Center Inc.
Is Florida Attorney General Pam Bondi's tough stance on price gougers all talk?